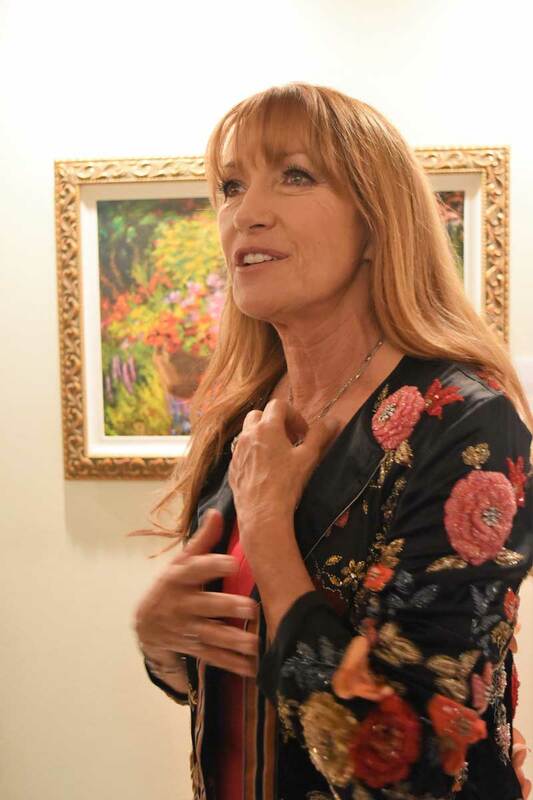 Jane Seymour gets emotional Jan. 18 during her talk to gallery guests at the Studio at Gulf and Pine. Seymour’s display of watercolors, oils, sculptures and other artwork are for sale at the studio. Her visit to Manatee County for two days is sponsored by the Bradenton Area Convention and Visitors Bureau. 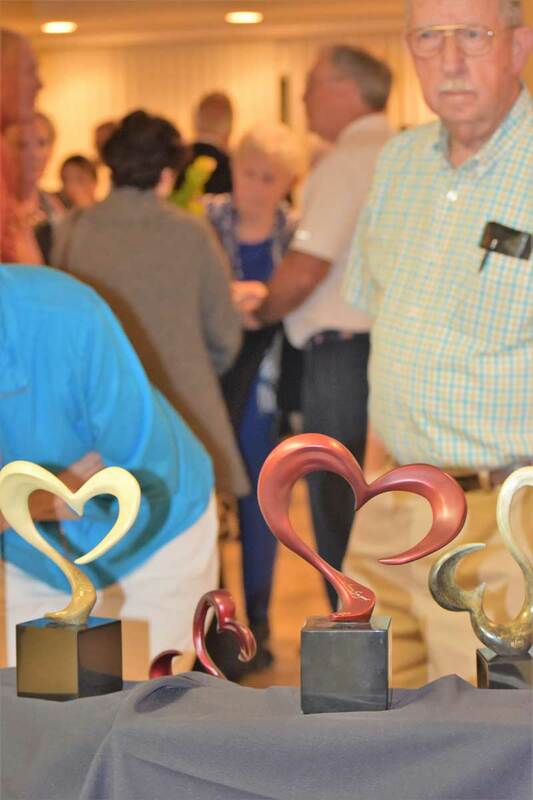 An array of Jane Seymour’s “Open Hearts” sculptures are for sale at the Studio at Gulf and Pine through Feb. 9. Seymour also dedicated a large Open Hearts sculpture and another presentation Jan. 19 as part of a two-day series of events hosted by the BACVB to promote tourism. 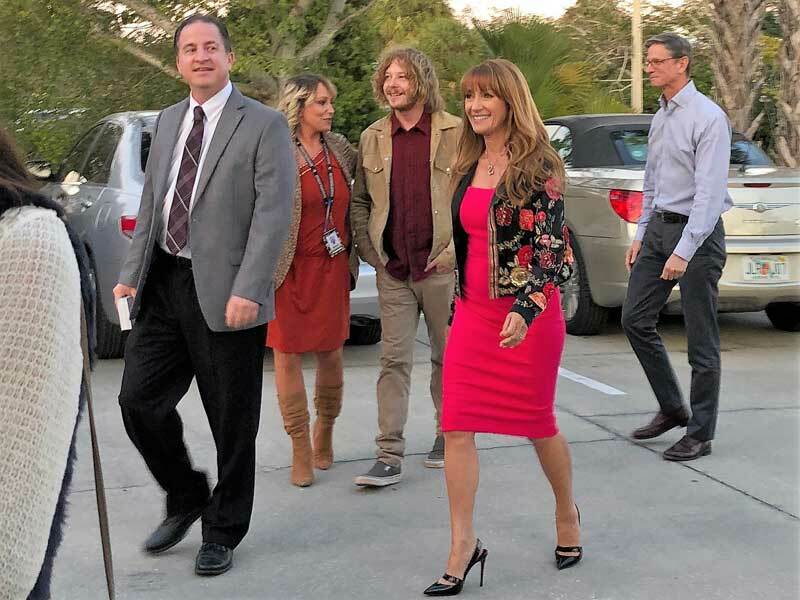 Elliott Falcione, left, executive director of the Bradenton Area Convention and Visitors Bureau, arrives at the Studio at Gulf and Pine Jan. 18 with celebrity Jane Seymour, center. Seymour visited with members of the crowd, discussed her art and did a cooking demonstration. 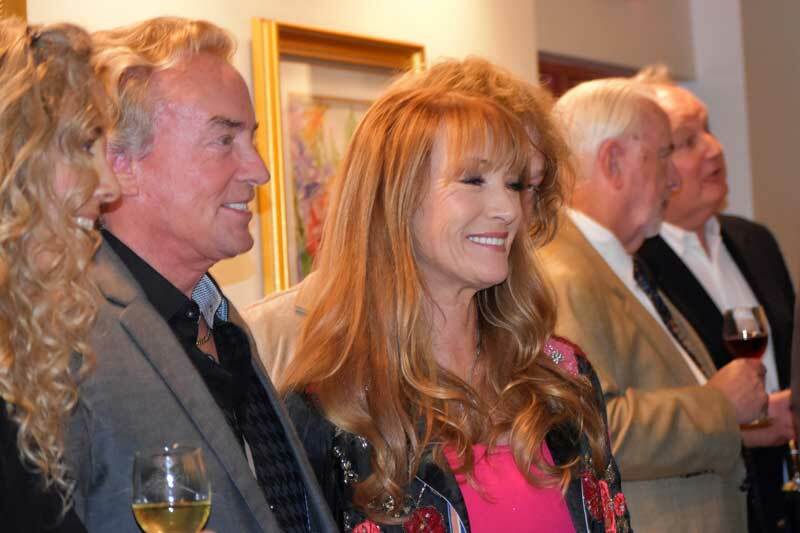 Eric Cairns, left, shares a laugh with Jane Seymour as she visits with guests at a Jan. 18 reception held in her honor at the Studio at Gulf and Pine. Seymour talked briefly about her life, her love of cooking, her art and the things in life she is most passionate about during reception. Jane Seymour paid a visit to Anna Maria Island Jan. 18 to show off her talents. A collection of sculptures and paintings by the actress, artist, author and designer is on display through Feb. 9 at the Studio at Gulf and Pine, 10101 Gulf Drive, Anna Maria, where Seymour attended a reception in her honor. 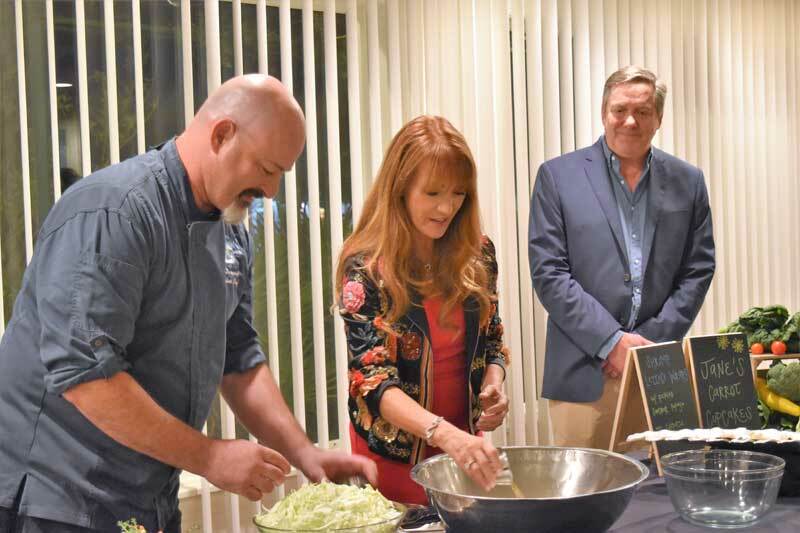 Seymour’s trip to Manatee County was part of a tourism promotion to benefit area nonprofits and businesses, including local workers, by the Bradenton Area Convention and Visitors Bureau. The Studio and the Sandbar Restaurant hosted the art reception. Her work also is offered for sale at the studio. 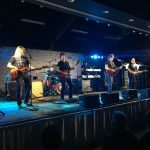 Seymour is just one highlight of a series of BACVB concerts and events designed to boost the economy on the heels of the hardships suffered during a red tide outbreak that started in August. Seymour mingled with the crowd, posed for snapshots, discussed her art and demonstrated how to make her heart-healthy coleslaw recipe. She said her mother’s words always resounded, to open her heart and help someone else when life gets challenging. It would become the inspiration for Seymour’s popular Open Hearts collection of sculpture, jewelry, art and a foundation. She said a friend led her to art as a way through her pain. “It became my healing,” Seymour told the crowd. Seymour founded the Open Hearts Foundation 10 years ago and her signature swirling, connecting hearts became a symbol for people to turn adversity into opportunity. The foundation is committed to growing nonprofits with the philosophy of love finding its way into an open heart. Seymour dedicated an Open Hearts sculpture, a collaboration of the BACVB and Realize Bradenton at Riverwalk in Bradenton earlier in the day.